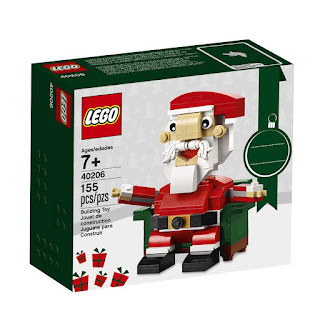 Savvy Spending: Amazon: LEGO Holiday Santa Building Kit for just $7.99! Amazon: LEGO Holiday Santa Building Kit for just $7.99! Amazon has the LEGO Holiday Santa Building Kit for just $7.99 (regularly $9.99). This set includes 155 pieces to build a Santa with movable arms and his chair! This would make a cute stocking stuffer!